New York, NY—November 20th, 2015 — They’re back, baby! Reunited and it feels so good! Cable and Deadpool, together again. Shooting and stabbing their way into your hearts and comic shops this December in DEADPOOL & CABLE: SPLIT SECOND #1 – the print adaptation of the smash hit Marvel Infinite Comic series. 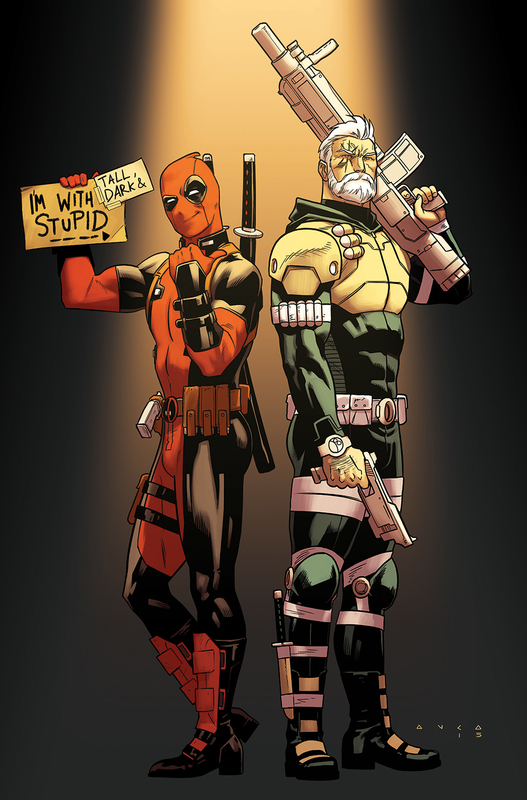 Fan-favorite Cable & Deadpool creative team of Fabian Nicieza & Reilly Brown bring you a brand new adventure of the Merc With a Mouth and the Soldier With a Scowl. Cable has received a terrifying vision of the future brought on by the assassination of one man. Now he’ll do anything to prevent that horrible timeline from becoming reality. Too bad Deadpool has been hired to hill that guy. This is going to get messy. And just who is the mysterious Split Second, who’s causing all sorts of trouble for this titanic twosome. Find out when DEADPOOL & CABLE: SPLIT SECOND #1 comes to comic shops this December!